The Toy Story 4 Trailer Raised 4 Important Questions. #3, Why So Creepy? The question has sometimes burned as hot as Toy Story 3's climatic incinerator: Do we really need a Toy Story 4? After all, didn't the 2010 movie - the most recent instalment in the $2 billion Oscar-winning franchise - wrap the trilogy perfectly, with the grown Andy giving his cherished plastic menagerie to young neighbour girl Bonnie? As Toy Story 3 screenwriter Michael Arndt told The Washington Post at the time, he was "just hoping the third film (would) live up to the first two films." On Tuesday, Disney aimed to assuage fans with the first full trailer for this summer's "Toy Story 4." 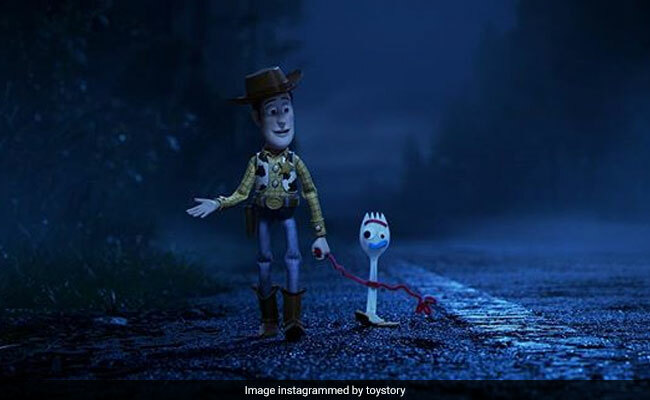 In the new film, directed by Josh Cooley (Inside Out, Up), Woody (voiced by Tom Hanks) hits "the road of life" to try to reunite Bonnie with her new craft spork Forky (Tony Hale) - only to be reunited himself with Bo Peep (Annie Potts) and other lost toys. We see the "old friends," as the trailer says. There's Buzz (Tim Allen), Jessie (Joan Cusack), Rex (Wallace Shawn), Hamm (John Ratzenberger) and the whole familiar crew. But are we willing to reinvest nearly a decade later? Leave it to Pixar - which has pulled our sonic heartstrings before with Randy Newman and Sarah McLachlan - to cue the Beach Boys' Pet Sounds masterpiece God Only Knows. Suddenly, it's no guarantee that Woody will give up Bo and the land of lost toys to return to Bonnie. 2. Who are these "new friends" the trailer's title cards mention? Meet Gabby Gabby (Christina Hendricks), the 1950s-style pull-string doll who seeks to get back her voice; Duke Caboom (Keanu Reeves), a 1980s stunt rider with a failure complex; and Giggle McDimples (Ally Maki), "Toy Story's" smallest doll, but who might loom as large as Jiminy Cricket. These new characters will surely prove crucial to Woody's sense of sympathy - and Bo's sense of attachment. Emerging as darkly as anything since full-rage Lotso (in Toy Story 3) are the creepy ventriloquist dummies in the new movie's trailer and poster. The characters are so eerie that they had kid-horror author R.L. Stine wondering whether they were a nod to the twin dummies Slappy and Snappy from his Goosebumps series - which themselves pay visual homage to the Anthony Hopkins movie Magic. 4. Is that an old-old friend among the "lost toys"? Eagle-eyed viewers noticed that the little drummer character in the trailer is indeed Tin Toy, the star of John Lasseter's Oscar-winning 1988 short Tin Toy - the film that helped put Pixar on its path toward 1995's pioneering feature film Toy Story. Another Easter egg: The trailer reminds that Duke Caboom actually made his first (tiny) appearance in last year's Incredibles 2. Toy Story 4 is due out June 21.